Do I need a restraining order as a part of my divorce? A restraining order is often a point of confusion for people facing a divorce. 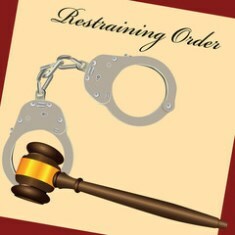 There are different types of restraining orders available to use, depending on the situation. All of them are court orders, in that they’re authorized and granted by a court of law and are enforceable as such. If you’re considering a divorce, it’s important to know the most common types of restraining orders, when they might be necessary, and what they can and cannot do for you during your divorce. A temporary family law order is usually the type of restraining order most people use during divorce, and it encompasses many areas not covered by the other kinds of court orders. Unlike a domestic violence protection order, it does not require violence or the threat of violence in order to be filed. A key component of a temporary family law order is that it can protect your property during the divorce. It’s common for spouses to try and hide assets during a divorce in an attempt to deny a divorcing partner his fair share of the marital property, but a family law order can work to prevent that from happening. Using this type of order, you can temporarily stop your spouse from selling, transferring, or otherwise disposing of any property during the divorce. It can also prevent your spouse from changing any insurance plans you may have, including medical, auto, property, and life insurance policies. This helps ensure that premium payments are kept up to date to avoid “accidental” cancellations that may be an attempt to deny you benefits or prevent you from receiving your rightful share during the asset division phase of the divorce. A domestic violence protection order is only used when domestic violence is an issue, and it can be used to make the respondent leave a shared home or bar him from entering the victim’s residence; it can allow the victim to retrieve personal effects from the home; or it can grant the use of a vehicle. A domestic violence protection order can also force the respondent into counseling, and it may require the respondent to temporarily surrender firearms or other dangerous weapons to law enforcement. It is more limited in scope than a family law order but may be granted more quickly by the court. Violation of a domestic violence protection order will lead to the arrest of the respondent, which may end in charges of contempt of court, a misdemeanor, or a felony, depending on the circumstances. A no-contact order is designed to protect victims of repeated domestic violence when the criminal defendant has been released before a trial, and there is a risk of further violence or harm. This type of order is typically shorter-lived and serves primarily to protect victims from further violence during an ongoing criminal case. If you’re concerned about physical safety, child custody arrangements, access to your property, or the risk of your spouse hiding assets during your divorce, a restraining order may be what you need to protect yourself. Your lawyer will be able to advise you about what’s right for you and your family, so that you can make the best choice. If you need legal help during your divorce, the Law Offices of Molly B. Kenny is here to assist you. To arrange a private consultation in our Bellevue office, please reach out by phone, or use the contact form on this page to send an email today.